The Bible Stories for Children website was created in 2017 using the Divi WordPress theme. As a Churcham-based website design company Quoakle also trades as Churcham Website Design and is pleased to offer a wide range of quality web solutions at reasonable and affordable prices. 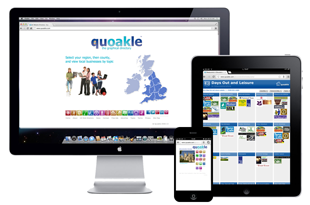 Community Pixels is the parent company that launched Quoakle, Quoaklecards and Great Days Out. Quoaklecards are a perfect and affordable web marketing tool for businesses that want to climb their way to the top of Google. Other developments include: Character Counter – an easy tool to count characters for a document, count characters for tweets, meta title characters and characters for meta description tags and much more. This tool has been developed jointly with Gloucester-based TCD Web Design. The Quoakle team recently finished their first e-commerce website project for Stavordale. Another company that we’ve been working with for a number of years is Moxham Books the Gloucestershire based, small independent book supplier.